If you don’t have shelter, you can’t live a full life. And your house is your shelter. If the government or the bank is trying to foreclose on your house, then your whole world is being shaken up. We understand this and we don’t want you to live in fear and confusion. There are ways to sell your home and get out from under a foreclosure. There are also ways to avoid foreclosure before the process begins. But you need to understand the foreclosure process beforehand. We have some pertinent information for you. And we hope it helps you find some equilibrium and a way out if need be. Here in Dallas, if you take out a loan to buy property, you sign a promissory and a deed of trust. When you sign a promissory, you’re making a promise to the bank or government to pay back the loan. This will include your terms of repayment. A deed of trust is essentially where the legal title is given to the bank as security until the loan is paid off. This is why the bank can foreclose on your house. They have the legal right to do so if you don’t pay them back. Look for a grace period. If you miss a payment, there is typically a grace period of ten or more days. You won’t be charged any late fees during that payment. So pay your mortgage payment immediately. If you miss the grace period there is a late fee usually. Most of the time it’s only 4-5% of the payment amount. But there will be interest on your unpaid amount. So, again, pay it as soon as you can or the price goes up. What Will Happen If I Miss More Payments? Since the foreclosure process really doesn’t start until you default, your lender will give you the benefit of the doubt. They’ll probably send you a letter reminding you to pay. They will then call you to try to collect the payments. Remember, they only make money if you pay. So, it’s in their interest to have you pay your mortgage. If you don’t pay your mortgage, they have to go through the foreclosure process as well. And this costs time and money. If you are struggling to make your payments, you should meet with your bank to discuss your options. They are typically willing to work with you to make it possible for you to pay. Options such as forbearance, loan modification, and a payment plan could be put on the table. You have 120 days to begin paying on your loan again. This is a period enforced under the 2014 Consumer Financial Protection Bureau Servicing Rules. After this 120 day period, mortgage officer can then file for any judicial foreclosure process. They can also give you notice of foreclosure after 120 days. During this time, you should meet with your bank or mortgage company to discuss your options. Don’t wait until you get the foreclosure notice. Get help immediately. Anytime in those 120, if you approach your mortgage company or bank, they will most likely work with you. Remember, they want to get paid. What Is a Breach Letter? During the foreclosure process in Texas, the bank goes to your deed of trust for guidance. There will typically be a clause in the deed that requires the lender to send you a letter. This is called the breach letter or demand letter. The intent of this letter is to inform you that your loan is in default. They have to do this before they move forward with acceleration and the rest of the foreclosure process. 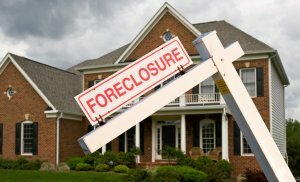 What Is the Rest of the Foreclosure Process in Texas? If the deed of trust contains a power of sale clause, the lender can foreclose without going to court. This is called a nonjudicial mortgage foreclosure. A power of sale clause will be a paragraph within the deed of trust. If there is no power of sale clause, then the lender must take the foreclosure to court for a judicial foreclosure process. By law in Texas, the lender must give you 20 days to cure the default before notice of sale can be given. They must send this in a letter by certified mail. This can be satisfied with the 30-day breach of trust letter we mentioned above. This must include the date the amount due must be paid. 21 says before the foreclosure sale and after the cure period expires, the lender must send a notice of sale to the borrower. This is public knowledge. So it will be posted at the county courthouse and filed with the county clerk. This notice will include the date, location and time of the sale. If you’re a member of the military, look for the included information about notifying the lender of your military status. At this step in the process, a sale will be held on the first Tuesday of the month. This typically happens in Texas between 10 AM and 4 PM. It’s an auction. So it will be sold to the highest bidder. Or it will go back to the lender to become a bank-owned property. At this point in the process, the home might have been sold for less than the mortgage cost. You might owe a deficiency and the lender can take you to court within two years after the sale for that money. Most who buy a foreclosed house don’t want to go through the process of eviction. They might offer your a cash for keys deal. They pay you cash and you give them the keys. If they do take steps to evict you, the sheriff will eventually (after a court grants judgment) post a 24-hour notice and then forcibly remove you after those 24 hours. This is a long and scary process. But if you need to get out from under threat of foreclosure before the 120 day Loss Mitigation Review Period is up, there is a way to sell your house quickly. You can sell your home without needing to fix it, clean it or do anything with it. Check out how it works and then get your fair cash offer.